So admittedly life for me had been way too hectic and with this heat wave I have been not very motivated to do anything. I swear that I’m struggling to get more motivated and actually do things with life. 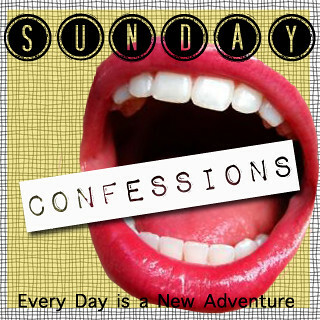 Today I’m linking up with Alyx from Every Day is a New Adventure for a round of Sunday Confessions. 1. After this post I will be busily working a week worth of post of you a lot of which I’m pretty excited about and I hope that you will like. 2. I have freshly painted nails once again and I’m loving dark nails that look almost black, but aren’t! 5. I can’t wait for the next couple of weeks to fly by because there is so much to look forward to. I love dark nails! I hope this week did fly by for you, and hopefully next week does, too! thanks for linking up, Jamie! Sorry it took me forever to get over here!